Direct messaging has become a big focus for the major social platforms - and with good reason. 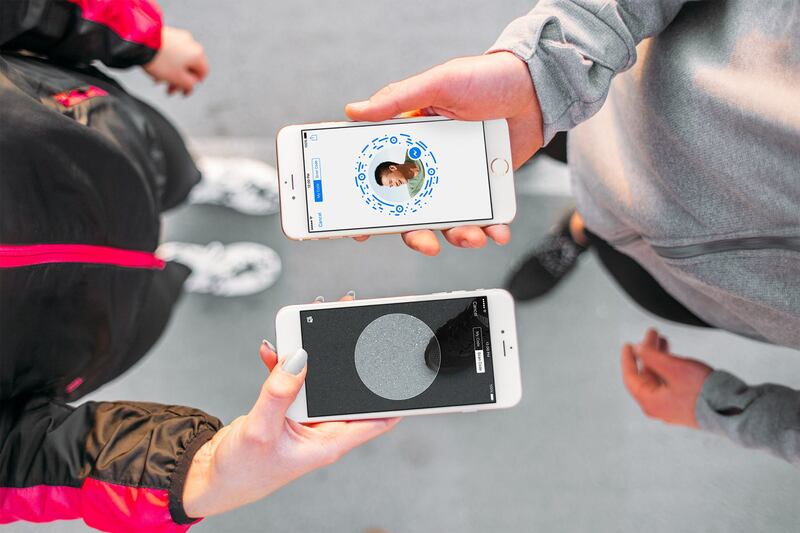 Messaging, according to various reports, is now the number one way people are looking to connect - Facebook's messaging platforms WhatsApp and Messenger both have more than a billion users per month, putting them well above all social platforms outside of Facebook itself. 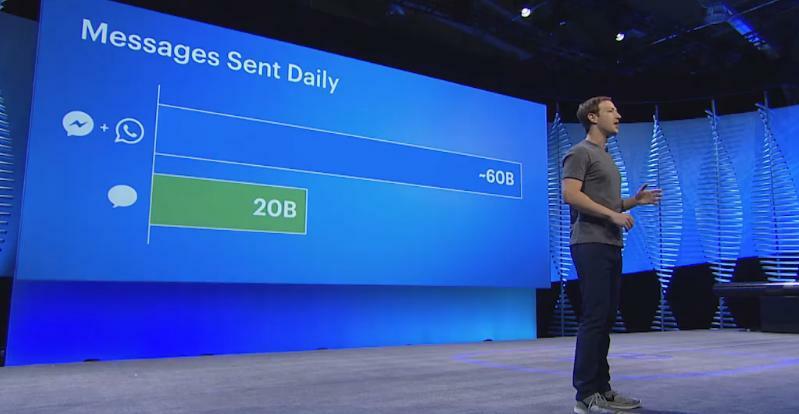 As noted that their recent F8 developer conference, Facebook's now processing around 60 billion messages per day. By comparison (and as shown in the above image), at peak usage rates, global SMS volume was only around 20 billion messages every 24 hours. This is why Facebook's putting such big emphasis on messaging, introducing new tools and options, including Bots for Messenger, in order to capitalize on our renewed messaging focus and provide more options to users on the platforms they're gravitating towards. And another important consideration here - the messaging trend is even more prevalent amongst younger users, with data from Pew Research showing that messaging is the dominant communication option among teens. Those interactive behaviors developed at younger ages can be habit forming, which would suggest that even if you're not convinced of the importance of messaging now, you will be in the near future. Twitter, too, knows this. And while Twitter hasn't gone out and purchased or built their own dedicated messaging platform, they have slowly been opening up their direct messaging options to meet that rising use case. They've removed the 140 character limit from DMs and the restrictions on who could message whom on the platform, while also adding additional new business tools to facilitate easier connection via on-platform message. Such connection is important for Twitter, which remains a key platform for real-time response. And today, they've announced the latest tool in their messaging push, with a new button for websites that enables site visitors to quickly and easily fire off a Twitter DM direct from the page. The new option has been added to Twitter's Publish platform - now, on Publish, you can select the "Twitter Buttons" option to create a message button for your page. The process is pretty straightforward - on Publish, click on the "Twitter Buttons" option which will take you to this screen. Click on the "Message Button" option and you'll be asked to fill in you Twitter user name and your user ID - this is a numerical identifier that can be found here. 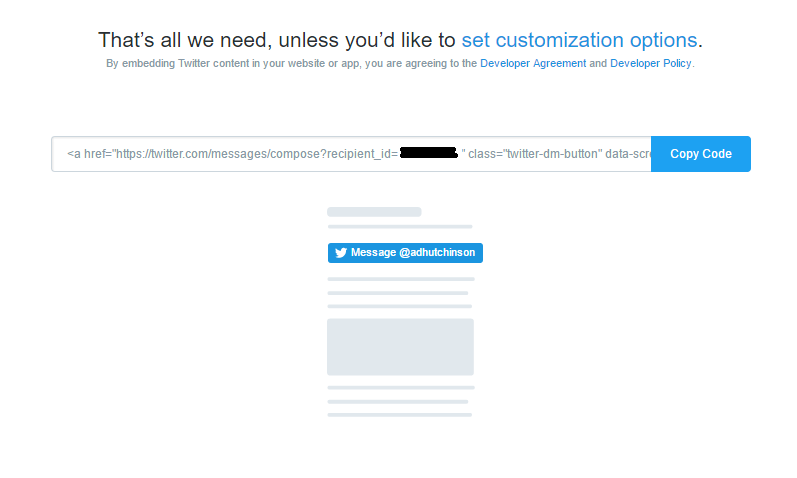 Once entered, Publish will create your new Twitter DM button and give you a code to paste into the HTML of your site. It's a quick and easy way to encourage Page visitors to get in touch, and can put more emphasis on Twitter as your customer service channel of choice. Facebook's done similar with their messaging options, adding direct connection tools from websites, while also putting more emphasis on direct messaging in their new Page design. Given this, Twitter may already be slightly behind the times with this release, but considering the amount of people who use Twitter to get in touch with brands (according to Twitter's own data more than 80% of customer service requests on social come through via tweet), it makes sense for the platform to put more focus on customer service tools and ways to boost their offerings on this front. With stagnant user growth and declining interest in their ad products, Twitter still has its work cut out for it to get the platform back on track. Enhancing their customer service and response tools is an important area of focus, particularly given Twitter's status as the leader in real time response and immediacy.